The Police Explorer program is for young people between the ages of 14 and 20 years old that have a strong interest in law enforcement. 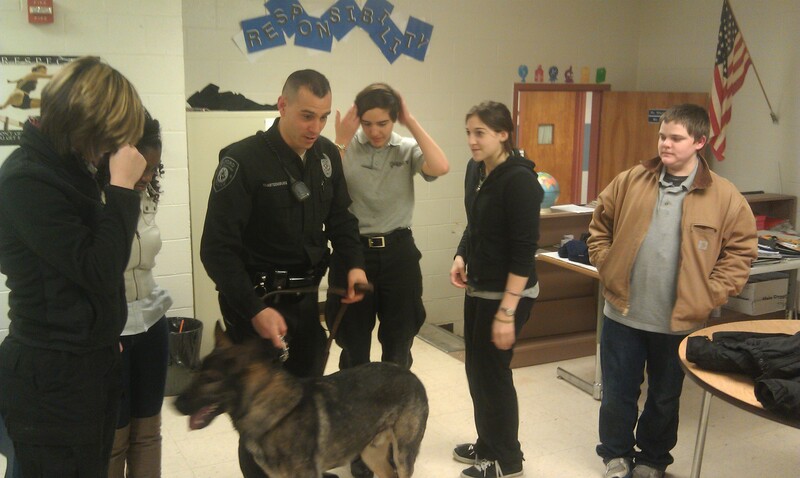 The Explorers learn basic police skills and functions. Explorers develop discipline and other life skills they will use well into adulthood. Explorers are given the opportunity to attend National Explorer events and functions. Many Explorers are recognized for their hard work and dedication and given the opportunity to obtain educational scholarships. The Police Explorers Unit is a Division of the Boy Scouts of America and is staffed by adult volunteers. Exploring is Learning for Life's career education program for young men and women who are 14 (and have completed the eighth grade) or 14 through 21 years old. Adults are selected by the participating organization for involvement in the program. Color, race, religion, gender, sexual orientation, ethnic background, economic status, and citizenship are not criteria for participation. Exploring's purpose is to provide experiences to help young people mature and to prepare them to become responsible and caring adults. Explorers are ready to investigate the meaning of interdependence in their personal relationships and communities. Exploring is based on a unique and dynamic relationship between youth and the organizations in their communities. Local community organizations initiate an Explorer post by matching their people and program resources to the interests of young people in the community. The result is a program of activities that helps youth pursue their special interests, grow, and develop. Explorer posts can specialize in a variety of career skills. Exploring programs are based on five areas of emphasis: career opportunities, life skills, citizenship, character education, and leadership experience. Young adults involved in Exploring will Gain practical knowledge of and experience in a career Engage in a program of activities centered on career opportunities, life skills, service learning, character education, and leadership experience to encourage the development of the whole person Experience positive leadership from adult and youth leaders and be given opportunities to take on leadership roles Have a chance to learn and grow in a supportive, caring, and enjoyable environment Methods The methods of Exploring have been carefully chosen to meet the needs of young adults. Because Exploring is voluntary, youth are receptive to new ideas, experiences, and relationships. For the Explorer, these relationships provide a connection to new ways of thinking and acting as well as a new identity as a responsible young adult. Exploring asks young people to be responsible for themselves, for a program of activities and experiences, and for other people, thereby providing numerous opportunities for youth to make effective and ethical decisions. These opportunities are enhanced by the influence of capable adults and structured activities. Exploring activities are interdependent group experiences. Success depends on the cooperation of all. Recognition might come through formal awards, but it also is achieved through the acknowledgment by peers and adults of a young person's competence and abilities. Explorer posts provide exposure to democratic ideals and skills that are needed throughout life. The members of the Lakes Region Police Explorer Program must earn the privilege to participate in the "Ride-A-Long Program". The Ride-Along Program allows interested, qualified Explorers the chance to observe street level police work on a firsthand basis. 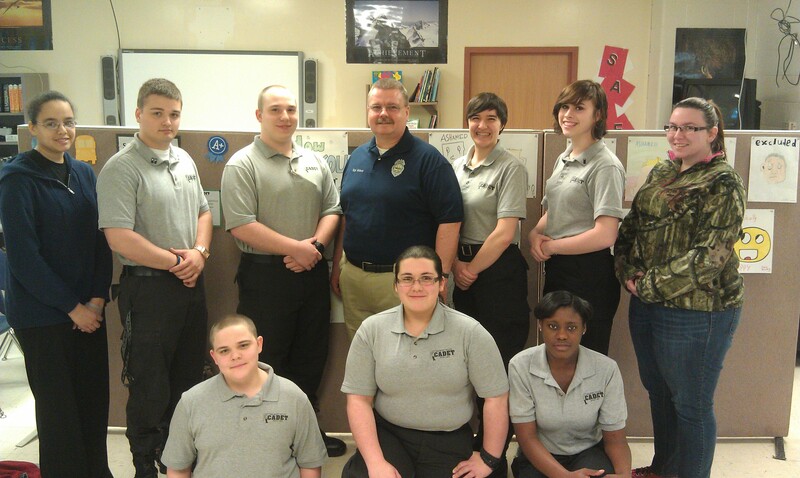 The program exposes Explorers a working knowledge of the field of law enforcement. Explorers wishing to take part in the Ride-Along Program must meet all of the rules to participate and those under 18years of age must have parental permission. The program is supported by advisors who are sworn police officers with the Belmont Police Department and two civilian, adult volunteers. The Lakes Region Police Explorers attend many Explorer Events which include, New Hampshire Cadet Training Academy, University Of Explorers, National Explorer Conference and Police Explorer Awards Dinner. Between the ages of 14 years old and 20 years old. Attend a minimum of 1 meeting per month. Adhere to post rules and regulations. Maintain satisfactory school grades and attendance. For more information call MPO. Marcello at 267-8351. ©2019 Belmont Police Department. All Rights Reserved.